Over the last week it's become clear that BT is considering a return to the mobile market, either by buying back the O2 network or making a bid for EE. According to Reuters, these discussions have peaked the interest of Hutchison Whampoa, the owner of Three Group, which runs the Three network in the UK. Several sources have stated that Hutchison could put in a bid for either O2 or EE by the end of the year. EE is the UK's biggest network, owned by Orange and Deutsche Telekom, and would command a higher asking price than O2, which was spun off from BT back in 2001. BT is reportedly making a decision in the coming weeks, although interest from Three could spur further negotiations. 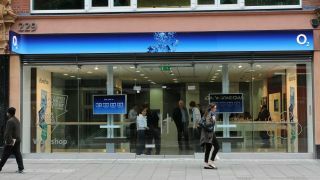 O2 is currently the second bigest network in the UK with 22 million subscribers. It doesn't own as much spectrum as EE, but a pairing with the Three network would give it a substantial platform to challenge EE.